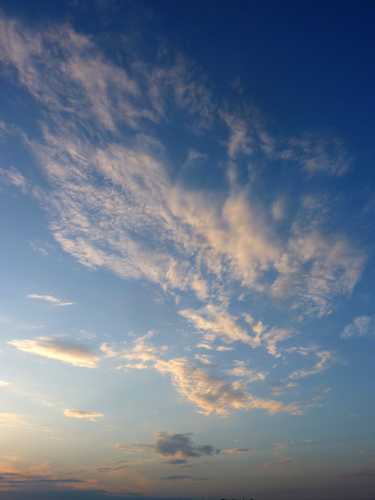 A walk around Wilverley Plain and Markway Inclosure. 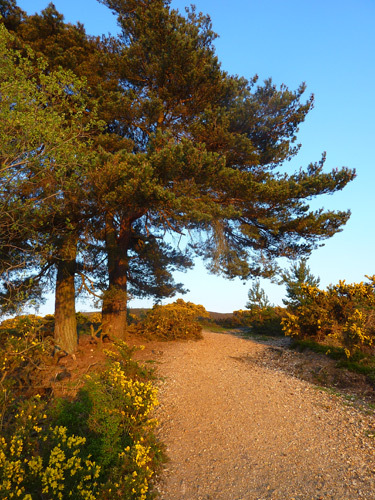 Wilverley Plain is home to some huge Scots Pines. When grown in close proximity they grow tall and straight, but when not surrounded by others, they turn into truly majestic trees. 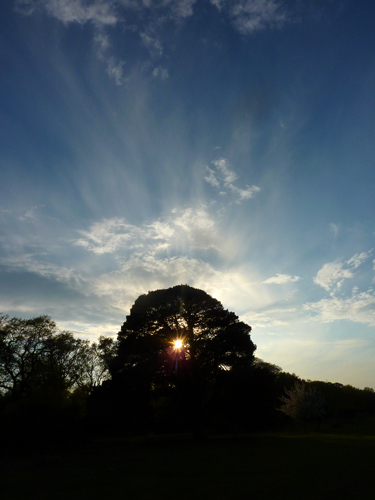 Here high cirrus clouds seem to create a halo around the tree. 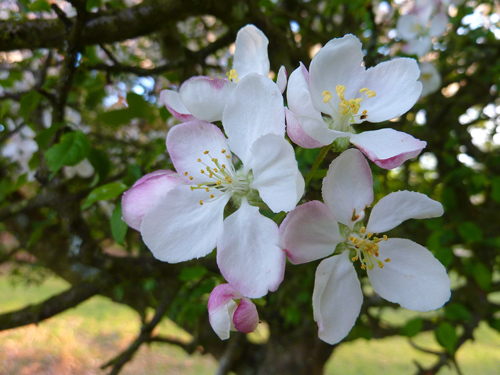 I love crab apple blossom, it reminds me of seaside rock, white shot through with pink. 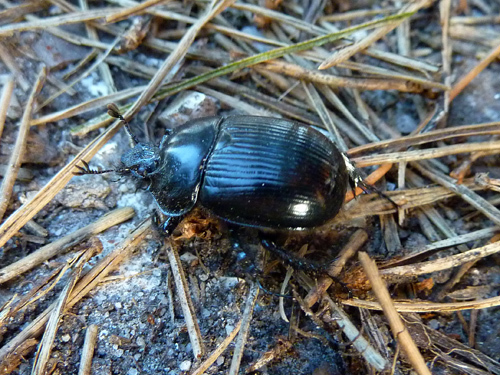 On the path in Markway Inclosure, we find this little chap, scurrying across the path in search of some dung! 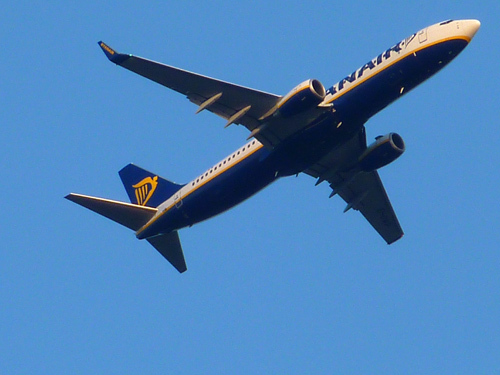 Wilverley Plain seems to be on the flight path for Bournemouth Airport, just in time to catch the 6.21. 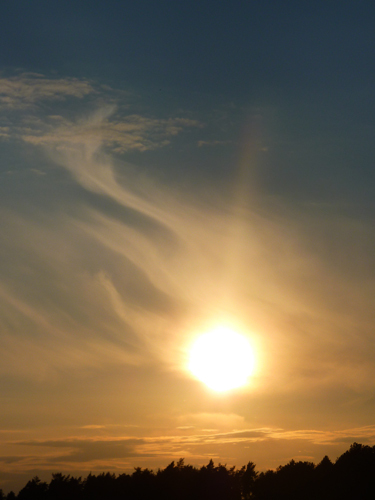 As the sun drops towards the horizon, the cirrus clouds, the highest of all clouds consisting of ice crystals, make it appear that the sun is smoking. The valley between Markway Inclosure and Wilverley Plain is rather pleasingly known as Duck Hole Bog, with the bridge where we cross simply marked on the map as Duck Hole. As we head up the path away from the bridge, everything is lit with a glow by the sun. 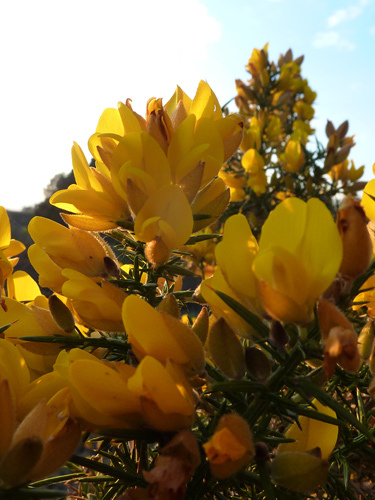 Gorse flowers against the sunset. 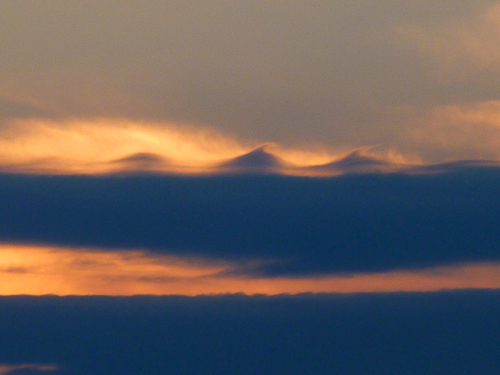 …I think that may be the start of a rare phenomenon known as Kelvin-Helmholtz cloud. 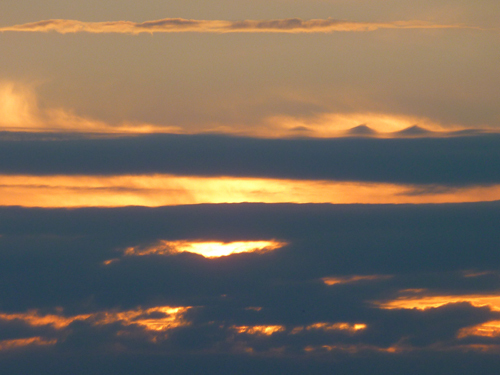 Wave like formations blown by the wind.